Has the hot, glaring sun ever kept you from fully enjoying the deck or patio at your Western Washington home? Looking for a way to cut your energy bills and extend your patio or deck? That's where awnings come in. They provide all the shade you need to create an "outdoor room" that you and your family can enjoy year-round. Protects Family from UV Rays- Protect you and your family from 99% of UV rays from the sun, allowing you to freely to enjoy the outdoors without worry. Lowers electric bills- According to Energy.gov, awnings can "reduce solar heat gain in the summer by up to 65% on south-facing windows and 77% on west-facing windows." That means your air conditioner won't need to work as long to cool down your home. Adds to your home's decor- Provides beauty and increased value to your home. Relatively inexpensive - Retractable awnings protect your family from the sun at a fraction of the cost of a permanent awning. Flexible- Get the shade you need in the summer and then retract it in the winter to let the sun warm your home. Easy to use- Easily extend or retract your awning either at the push of a button or with a standard hand crank. Practically maintenance-free- Retractable awnings are made from synthetic fabrics such as acrylic and polyvinyl laminates, meaning that they are water-repellent and treated to resist mildew and fading. 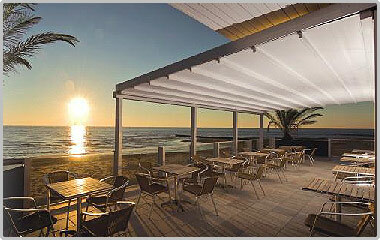 To get a functional and decor-enhancing retractable awning for your Bothell or Mt. Vernon-area home, contact us online or call 1-800-888-1045.